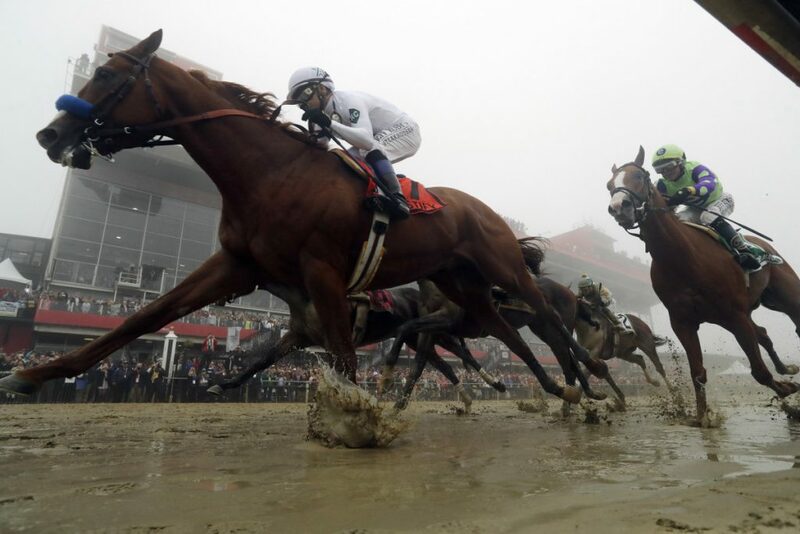 BALTIMORE (AP) — Justify endured the most difficult race of his career and came away a step closer to becoming trainer Bob Baffert’s second Triple Crown champion in four years. “Right now, I don’t see why not,” Baffert said. Just getting through the Preakness was a test for the Kentucky Derby champion. The start wasn’t a problem, but Derby runner-up Good Magic pushed Justify along the back stretch and Bravazo and Tenfold made up ground at the end before the wire. Justify showed no ill effects from a bruised heel on his left hind foot that was discovered in the aftermath of the Derby, an injury Baffert insisted was minor and over within 24 hours. With an eye on the 1 1/2-mile Belmont, Baffert said he and his team would evaluate Justify but more importantly would make sure he’s good to run again in three weeks.